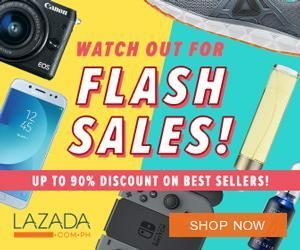 Revitalize your home, kitchen and laundry with state-of-the-art essentials from Appliance Warehouse Sale 2019! Planning to give your crib its well-deserved revamp before summer? Well, this is what you have been waiting for! Appliance Warehouse Sale 2019 is bringing you all the tools and devices you need to make your life easier. Kit out your house in style and get a hold of excellent assortment of washing machines, refrigerators, cooking ranges, microwave ovens and more. Enjoy up to 70% OFF on excellent assortment of washing machines, refrigerators, cooking ranges, microwave ovens and air-conditioner. 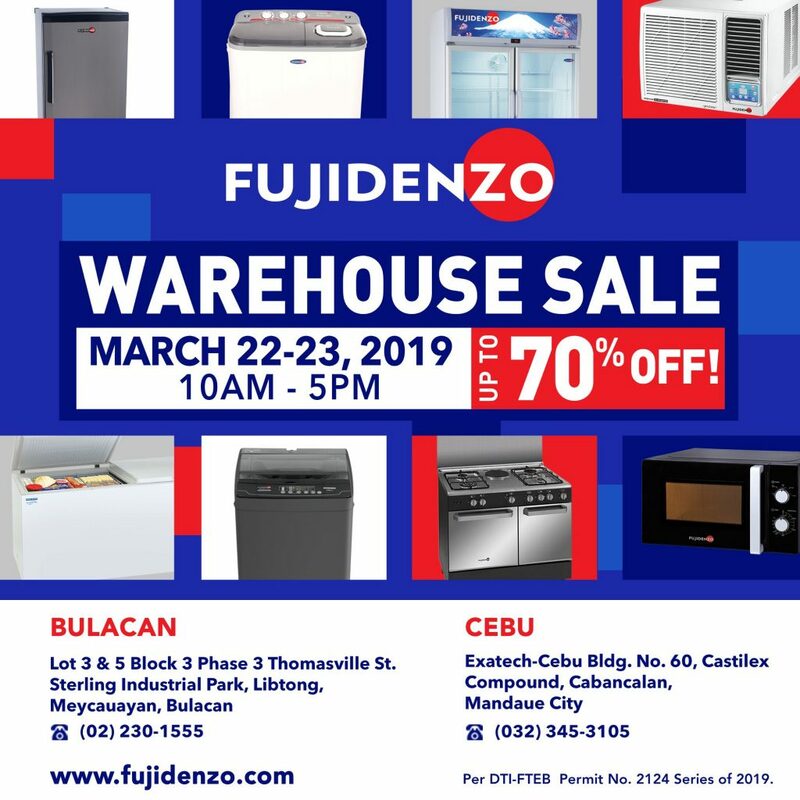 The Appliance Warehouse Sale 2019 is happening on March 22 and 23, 2019 and will showcase top-notch pieces from Whirlpool, Tecnogas and Fujidenzo. More than just appliances, these brands are known to create total home, kitchen and laundry masterpieces that are beautifully suited for your home. The 2-day sale event is happening in two (2) warehouse locations – Bulacan and Cebu outlet stores. So, mark your calendars and tag your shopping buddies. Head on to the following locations for another exciting bargain hunt adventure. Lot 3 & 5 Phase 3 Thomasville St.
1. 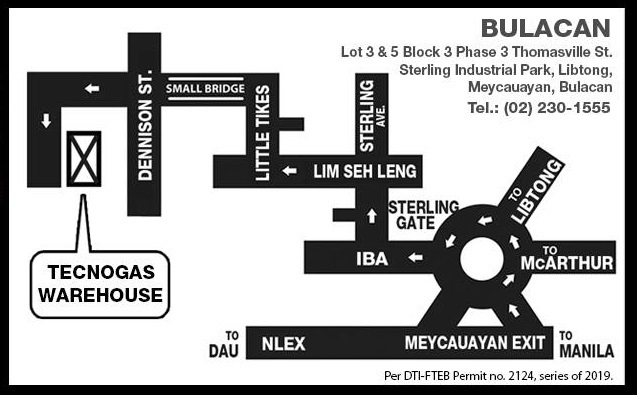 A “First Come, First Served” policy will be strictly implemented due to the limited space in the building.